On June 15, six years after the evangelical Christian university first proposed a law school in June 2012, seven judges of the Supreme Court upheld the law societies’ denial of accreditation based on the admissions barrier TWU has erected against LGBTQ (and some other) would-be students via a compulsory faith-based code of conduct (“community covenant”) that reserves sexual intimacy to marriage between one man and one woman — with transgressors facing possible suspension or expulsion from the university. 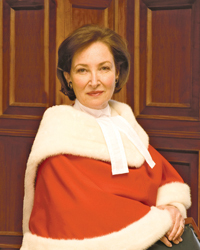 In dismissing TWU’s appeal in the Ontario case, and allowing the Law Society of British Columbia’s appeal in that province, the lead five-judge rulings in both appeals — co-written by Justices Rosalie Abella, Michael Moldaver, Andromache Karakatsanis, Chief Justice Richard Wagner and Justice Clément Gascon — held that the law societies did not limit religious freedom to a significant extent as they only interfered with TWU’s ability to operate a law school governed by the mandatory covenant. 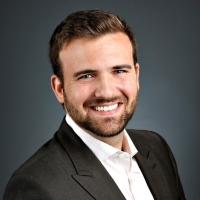 “This limitation is of minor significance because a mandatory covenant is not absolutely required to study law in a Christian environment in which people follow certain religious rules of conduct, and attending a Christian law school is preferred, not necessary, for prospective TWU law students,” the majority observed in its Ontario judgment. 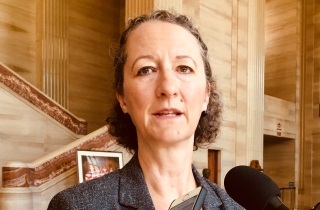 Minutes after the ruling Janet Epp Buckingham, a TWU professor and lawyer who is one of the prime movers behind the university’s bid for a law school, said it remains to be seen whether the Supreme Court’s decision means the end of her university’s law school dream. She acknowledged that includes considering whether to make signing the community covenant optional for law students, rather than mandatory. “That’s certainly something that will be considered and I’m sure our board of governors will consider that as an option, but I can’t say at this point what the decision is going to be,” she told The Lawyer’s Daily. 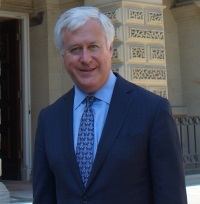 Toronto lawyer Paul Schabas, the treasurer of the Law Society of Ontario, welcomed the Supreme Court’s confirmation of the regulator’s jurisdiction over admission to the legal profession, including admission to the prerequisite legal education. “We are particularly pleased that the court recognized that our statutory mandate to uphold the public interest includes promoting a diverse bar and ensuring that there are no inequitable barriers to those seeking access to the legal profession,” Schabas said in a prepared statement. 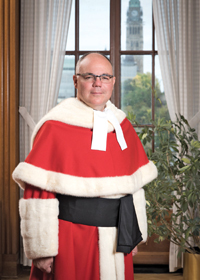 He highlighted the Supreme Court’s acknowledgment that the public interest of promoting a diverse bar — one reflective of a diverse population and responsive to its needs — also furthers access to justice. 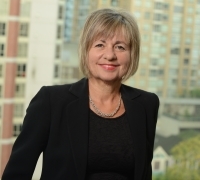 Miriam Kresivo, President of the Law Society of B.C. The majority noted that the legal regulators’ denial was based on the fact that TWU insisted that everyone adhere to the covenant, and declined to make signing and adhering to the community covenant optional for non-believers. “The decision therefore only prevents TWU’s community members from attending an approved law school at TWU that is governed by a mandatory covenant,” the majority pointed out. In a separate opinion concurring in the result of the cases, former Chief Justice Beverley McLachlin agreed with the majority that the regulators’ decisions were proportionate and reasonable, but unlike her colleagues she considered that the limitation on the TWU community’s religious, expressive and associational rights is serious. She also emphasized that approving TWU’s proposed law school would condone discrimination against LGBTQ people based on sexual orientation, and that the law societies’ refusal to do so accorded with their legal obligations to act in the public interest. 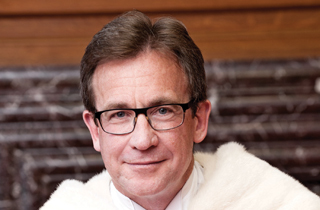 In his concurrence, Justice Malcolm Rowe stressed that freedom of religion does not protect the right to impose those beliefs or practices on others, and thus, he held, TWU’s claim falls outside the scope of religious freedom protected by the Charter. In their joint dissent, Justices Suzanne Côté and Russell Brown noted that the Ontario law society’s bylaws limit what the regulator can do in deciding whether to approve a law school. It can only decide whether graduates are fit to practise law, i.e. are competent and ethical (as argued by TWU). Since there was no evidence that TWU’s graduates would not be fit, the regulator should have approved the law school, they argued. Thus the decision to deny accreditation to TWU was taken for an improper purpose and is therefore invalid. The minority also held that under the LSBC’s enabling statute, the only proper purpose of a law faculty approval decision is to ensure that individual graduates are fit to become members of the legal profession because they meet minimum standards of competence and ethical conduct. “As the fitness of future graduates of TWU’s proposed law school was not in dispute, this statutory objective cannot justify any limitations on the TWU community” s. 2(a) Charter-protected religious freedom rights, they ruled. 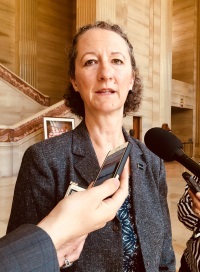 “Approving TWU’s proposed law school was the only decision reflecting a proportionate balancing between Charter rights and the LSBC’s statutory objectives,” Justices Côté and Brown wrote. However, the majority judgment(s) saw the balancing exercise very differently. “Freedom of religion protects the rights of religious adherents to hold and express beliefs through both individual and communal practices,” Justices Abella, Moldaver, Karakatsanis, Wagner and Gascon observed. “Where a religious practice impacts others, however, this can be taken into account at the balancing stage. In this case, the effect of the mandatory Covenant is to restrict the conduct of others. The LSBC’s decision prevents the risk of significant harm to LGBTQ people who feel they have no choice but to attend TWU’s proposed law school. 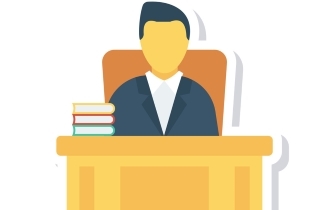 These individuals would have to deny who they are for three years to receive a legal education,” the majority reasoned.